To the casual observer, the River Endrick was deceptive. A pleasant little trout stream, one might think, a stream which, in places, a fit man could jump across. To the inexperienced eye, there would be little to betray the presence of the large numbers of late summer salmon and sea trout, which would make their way upstream from Loch Lomond on their annual spawning run. By the early eighties tales had reached me of these large Endrick sea trout, which might be caught by the fisherman prepared to fish through the long September nights. 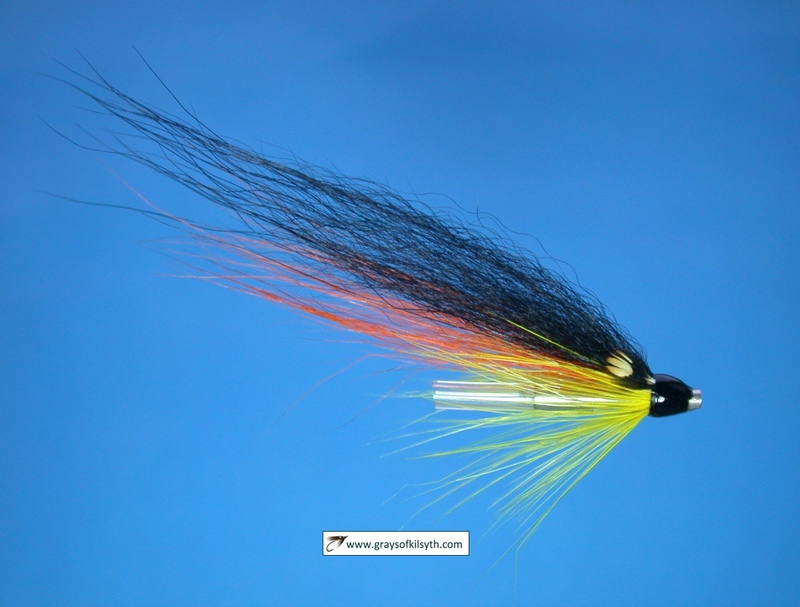 The prospect was irresistible and so, one early September evening in 1983, I purchased a day ticket to fish the "horseshoe bend", just upstream from the "Pots of Gartness", a waterfall famous for its views of leaping Autumn salmon and sea trout. On arrival, it was evident from the number of cars parked at the road-end that I would not have the river to myself. This is always a hopeful sign, though, and I was further encouraged by my first sight of the river, which was running off nicely after earlier rain. 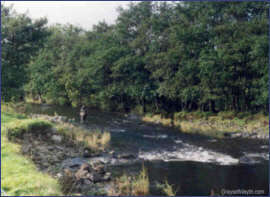 The river was indeed busy, with the likeliest looking pools occupied and heavily fished by all methods, although very few fish had been taken. I was in no hurry, being content to bide my time until after dark, by which time I hoped to have my choice of the pools available. 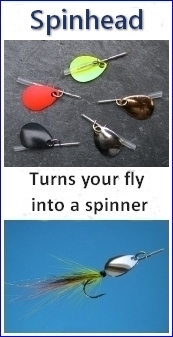 So, leisurely but carefully, I set about assembling my rod (a light nine footer which I had built on a two-piece fibreglass blank supplied by McHardy's of Carlisle in the mid seventies), floating fly line and a cast of two sea trout flies, a butcher and teal and silver in size 8. Quite a few fishers persevered until well after dark and I was pleased to see one or two sea trout taken on the fly, fish around the two-pound mark. The odd fish was also seen or heard running through. It was near midnight when I got started in earnest on what I considered the best looking pool - a small "pot" really, being no more than fifteen yards long and six or seven yards at its widest point. 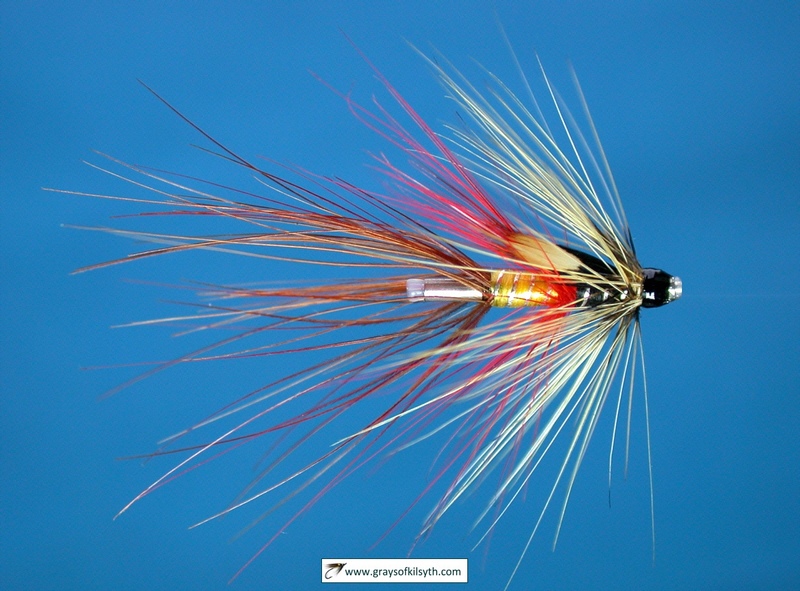 I fished quietly and steadily, hardly moving, gently casting my team of flies, adorned by two or three maggots, again and again over the same small piece of water. Nothing! Not a touch! What was wrong? Conditions seemed perfect; a mild, dark night with the river fining down to what seemed a perfect height. 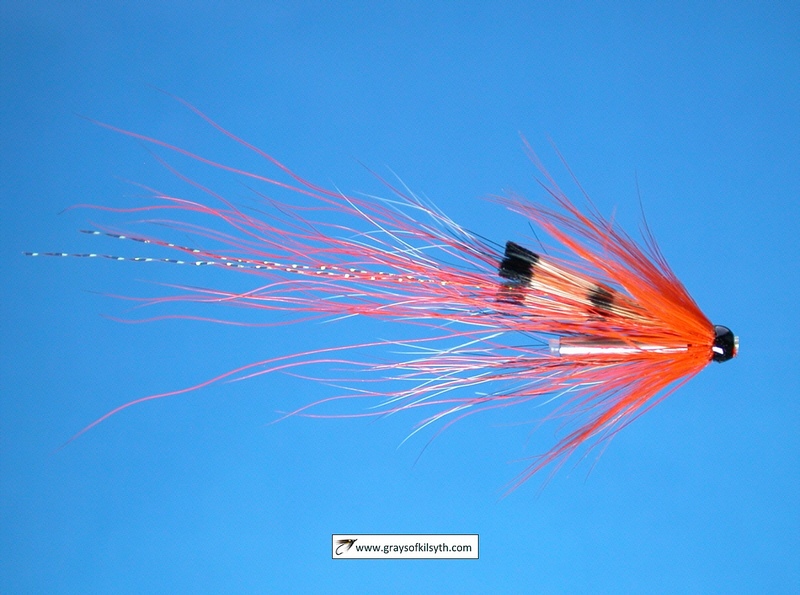 Had the sea trout run out of the pool? Had there been too much activity earlier in the evening for the fish to settle? Would a fresh run of fish move into the pool? I was now well and truly alone on the river. Almost one o'clock. I cast again. The line stopped. There was no mistaking it. A light but definite pull on the line prompted me to lift the rod. It immediately bent double under a heavy weight. The peace of the night was shattered as a good sea trout exploded on the surface. There were no long screaming runs. The fish didn't attempt to leave the pool but it was a strong fish, which took a good five minutes to subdue on the light rod in the pitch darkness. I eventually drew the beaten fish on to the shelving sandy bank, a beautiful fish of three pounds plus, my first Endrick sea trout. Despite all this disturbance, there then followed an unbelievable two hours of fishing and at three a.m. I sat down on the bank beside that small pool. On the grass at my side lay four sea trout, none under three pounds in weight and the biggest touching five pounds. A spectacular introduction to the sea trout of the Endrick, the start of an obsession which was to persist for much of the next decade. 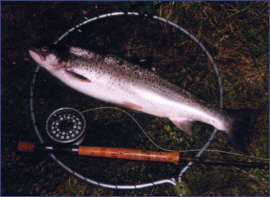 See also Fishing Diary a fishing log of Scottish trout, sea trout and salmon fishing, including several years' experience on the River Endrick.